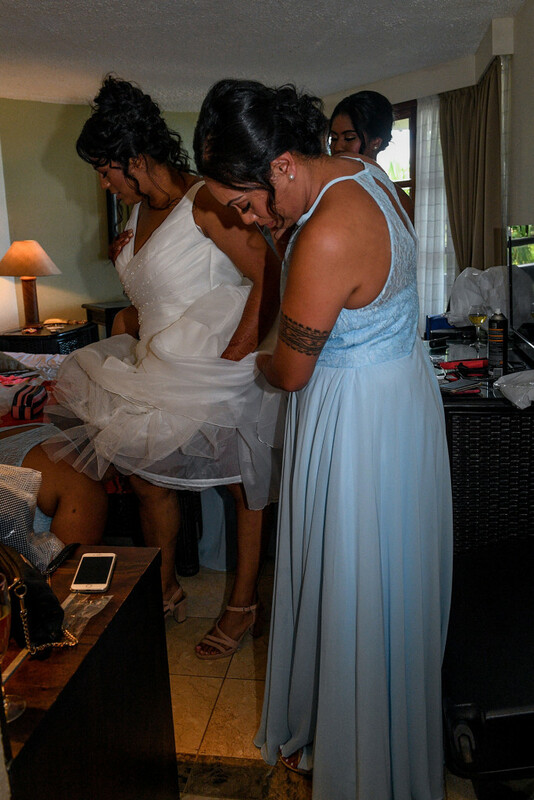 I was very touched when I received the first email from Aisea and Vanessa. 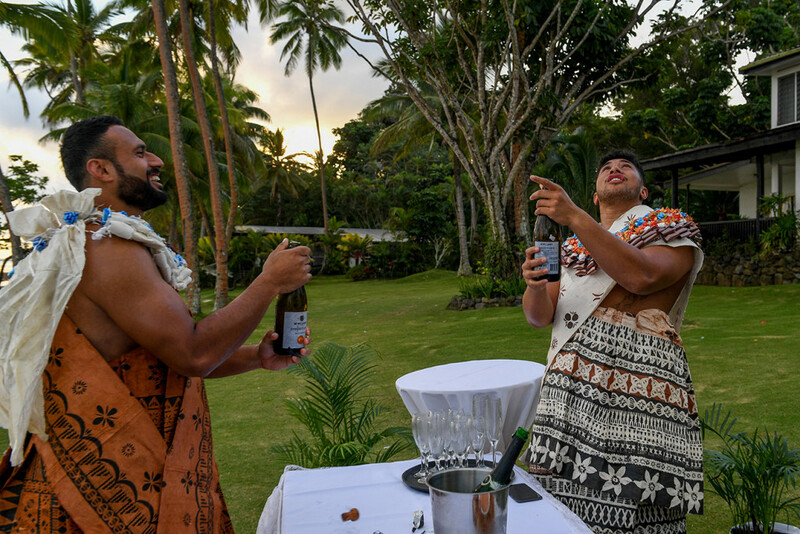 He is a professional rugby player and they have been living in France (my birth country) for 3 years and are loving it! 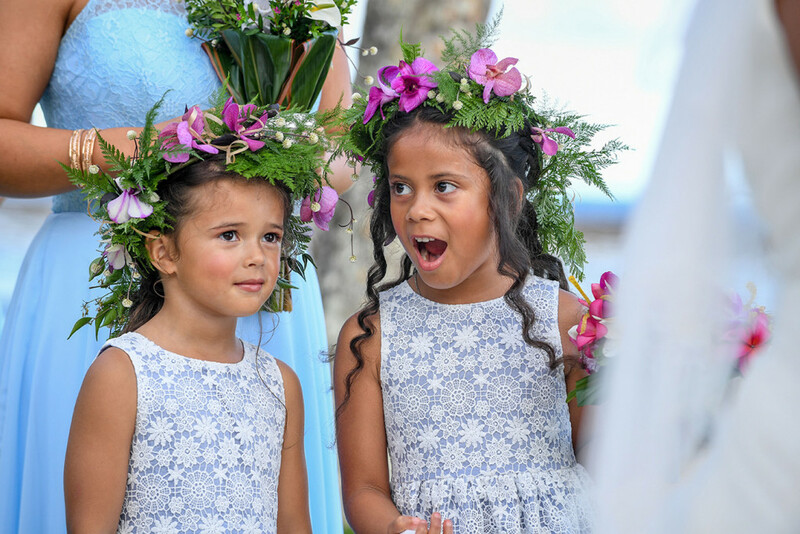 Their daughter speaks perfect French too. 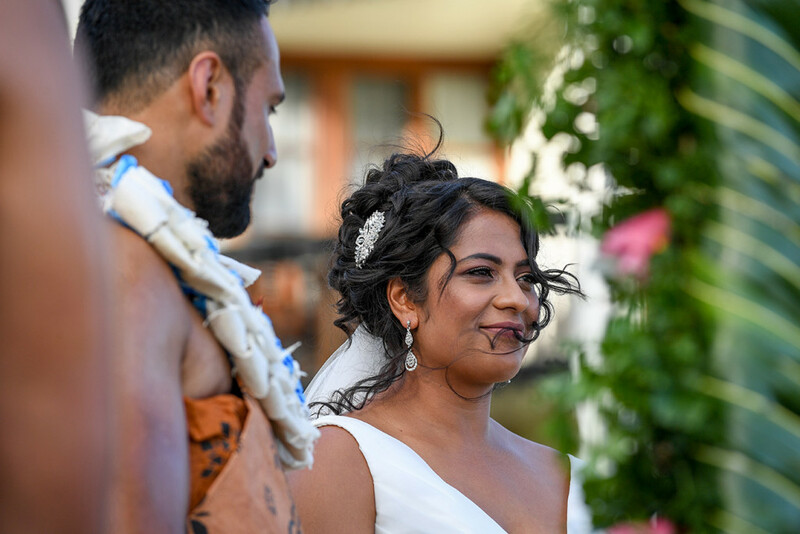 They are from New Zealand, where I used to live for 6 years : Aoteroa will forever be very dear to my heart. 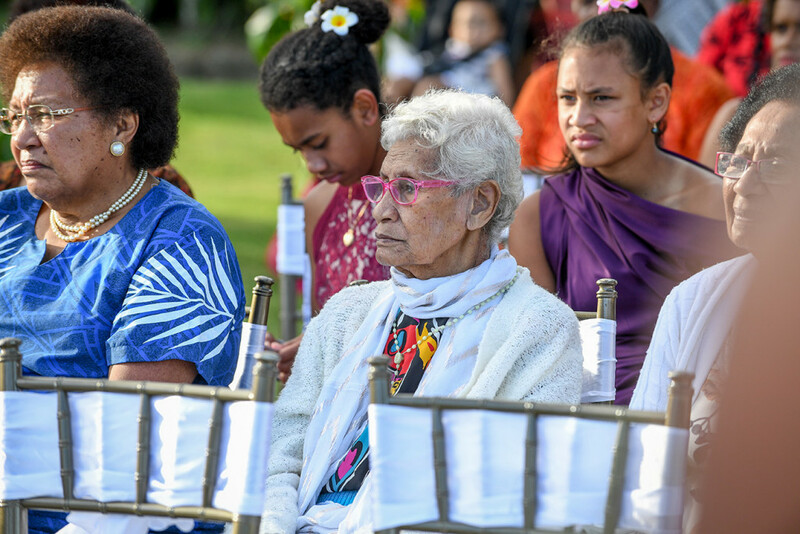 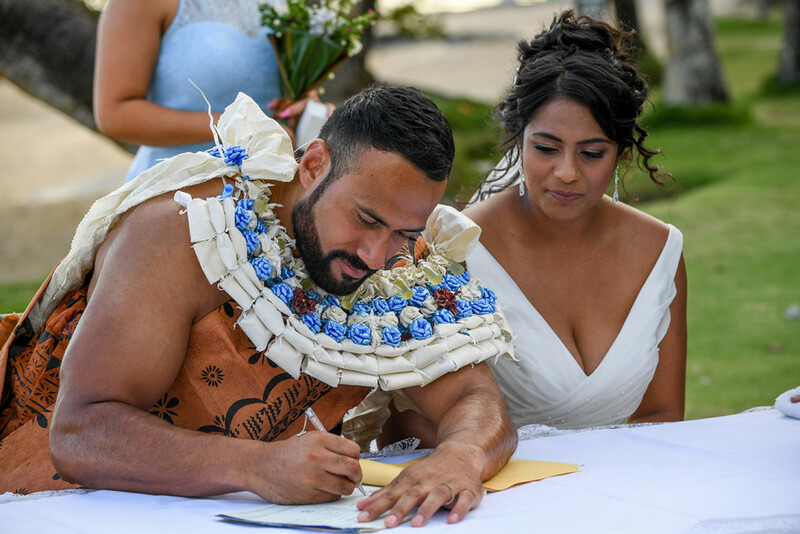 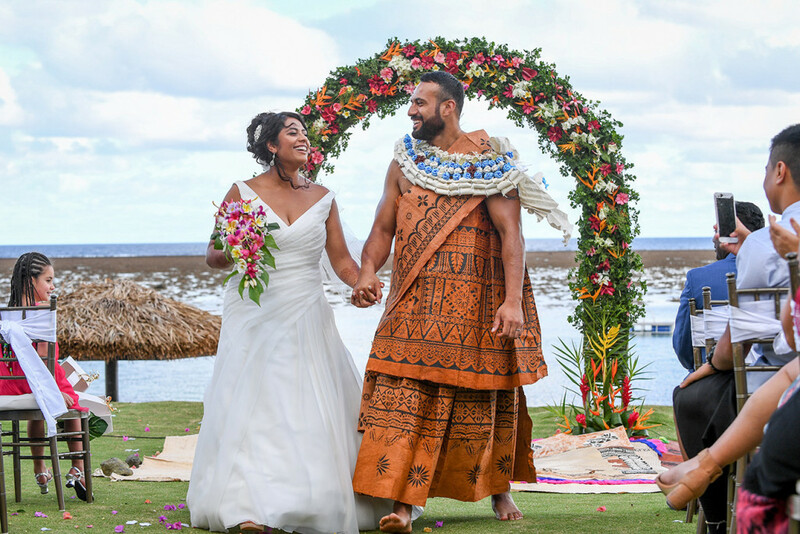 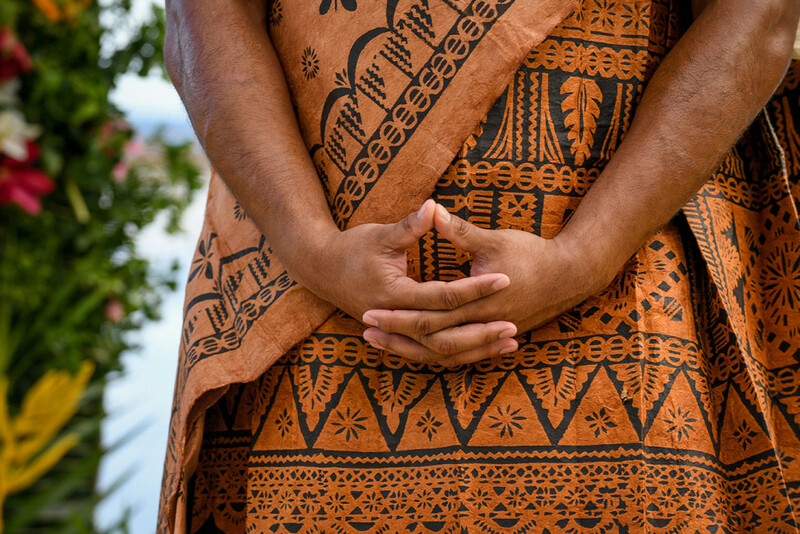 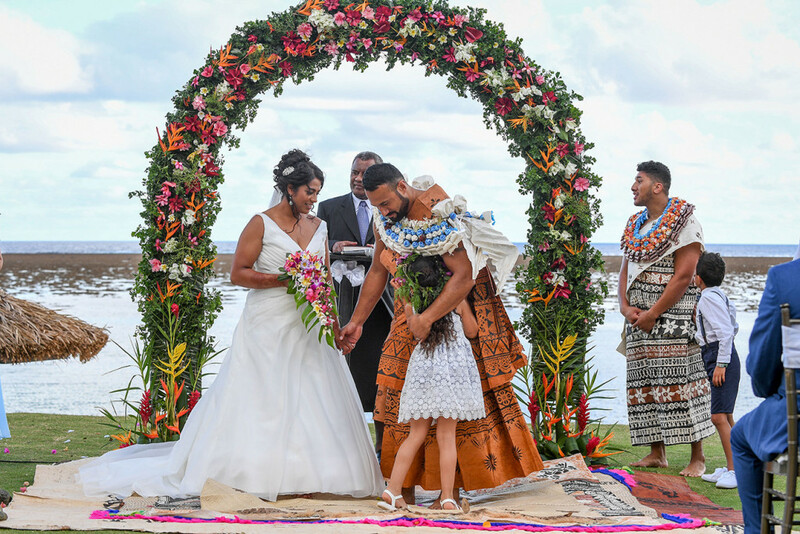 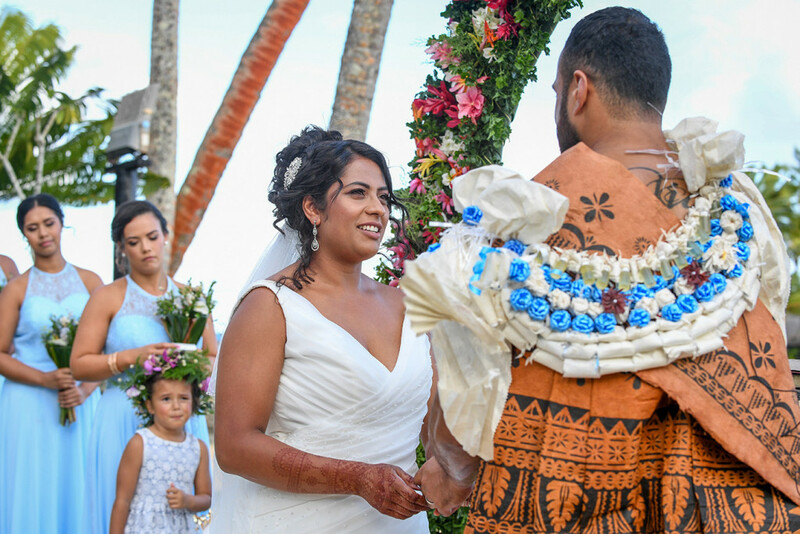 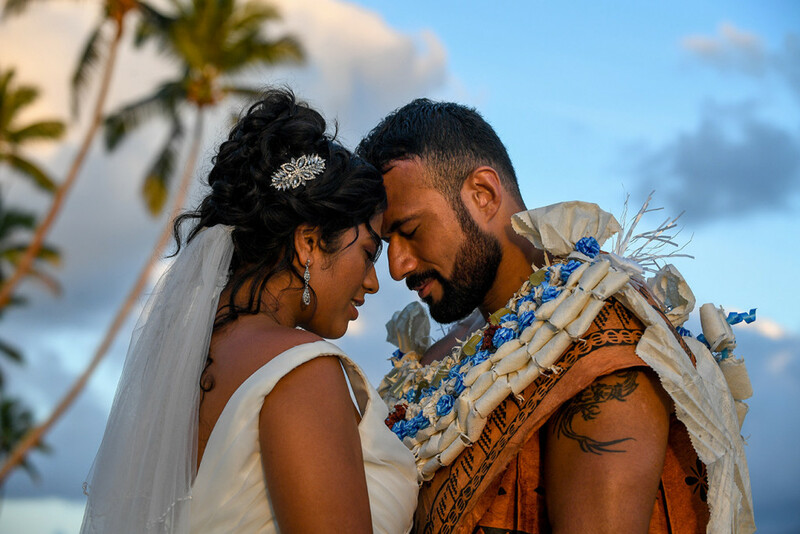 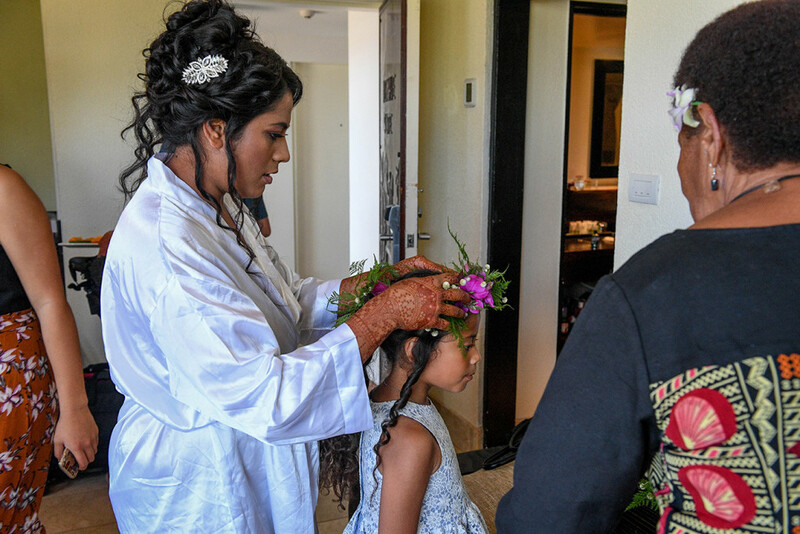 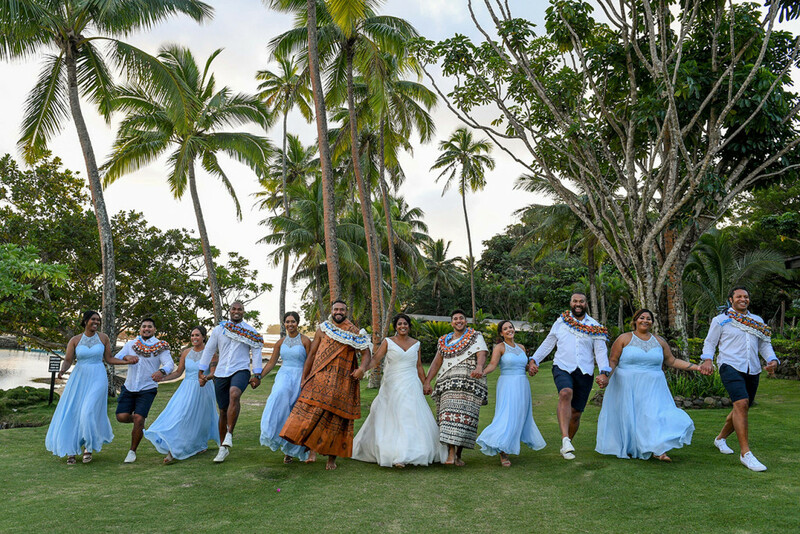 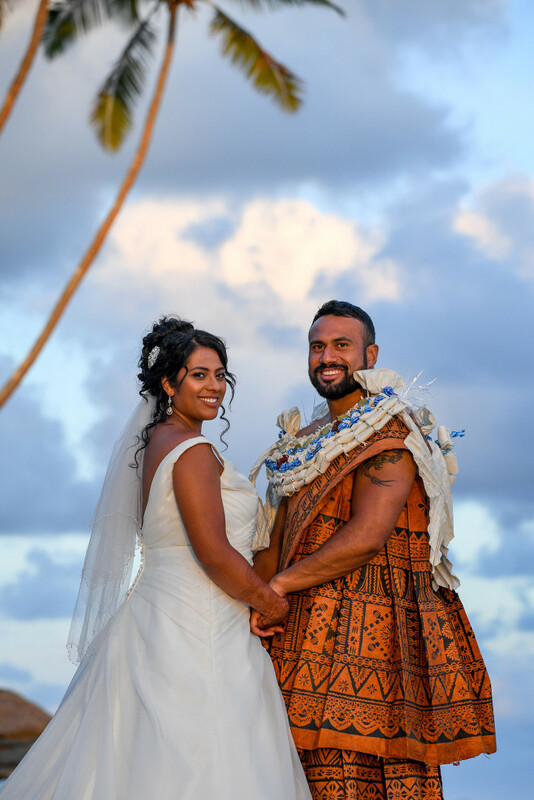 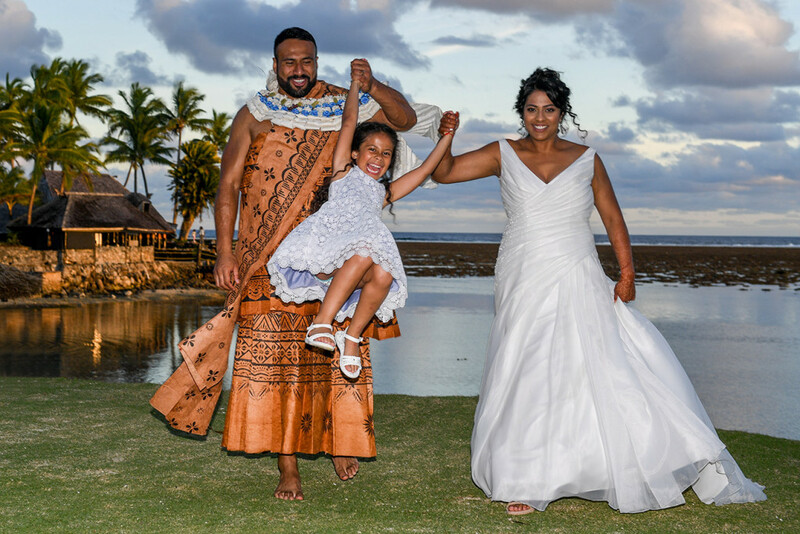 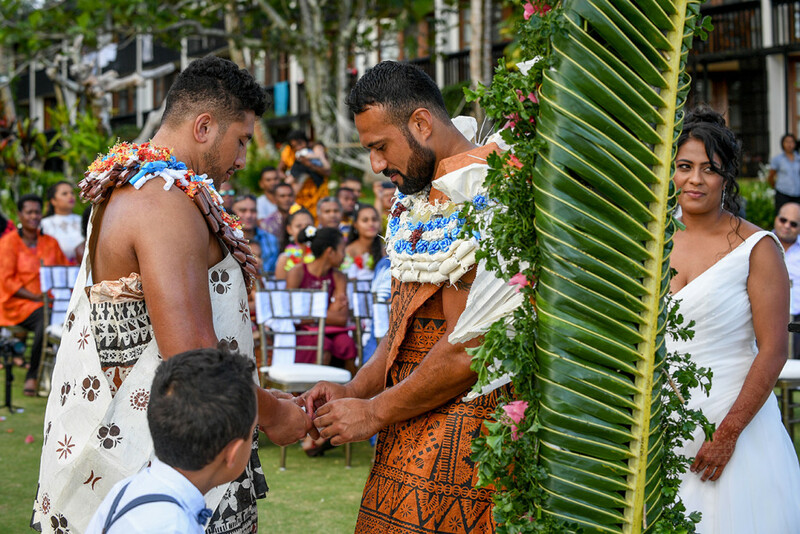 And they have Indian, Fijian and Samoan origins, which is why he is wearing this majestic Fijian traditional outfit and she has gorgeous henna tattoos on her hands. 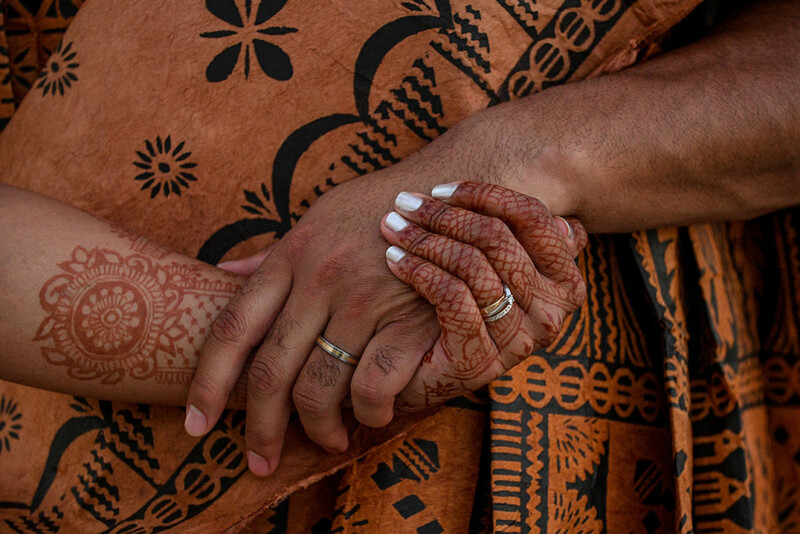 I love the idea of a cultural melting pot, the idea of being a “citizen of the world”, where we are home in any country, which is definitely a way to describe them and myself. 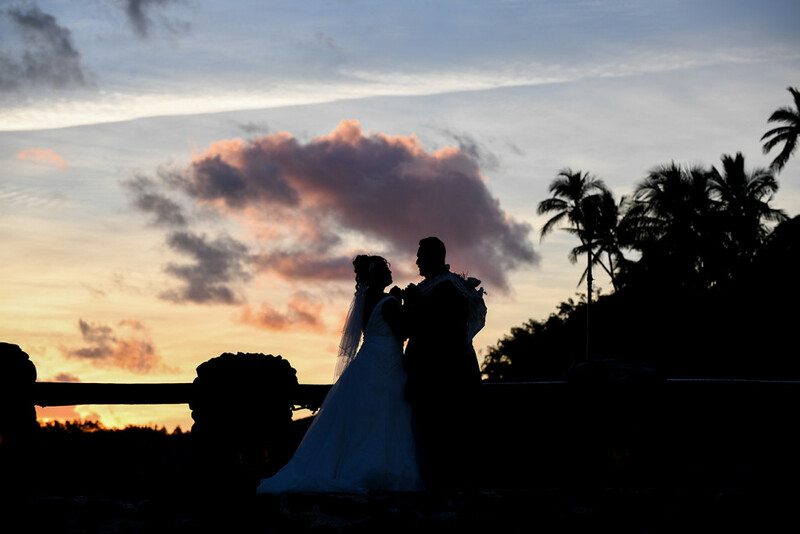 “We chose to get married at the Warwick because they had reasonable priced wedding packages. 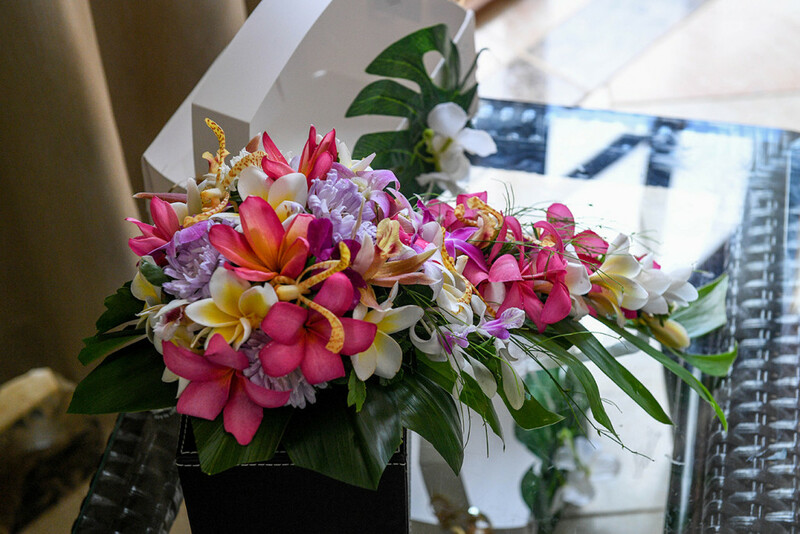 It was very beautiful! 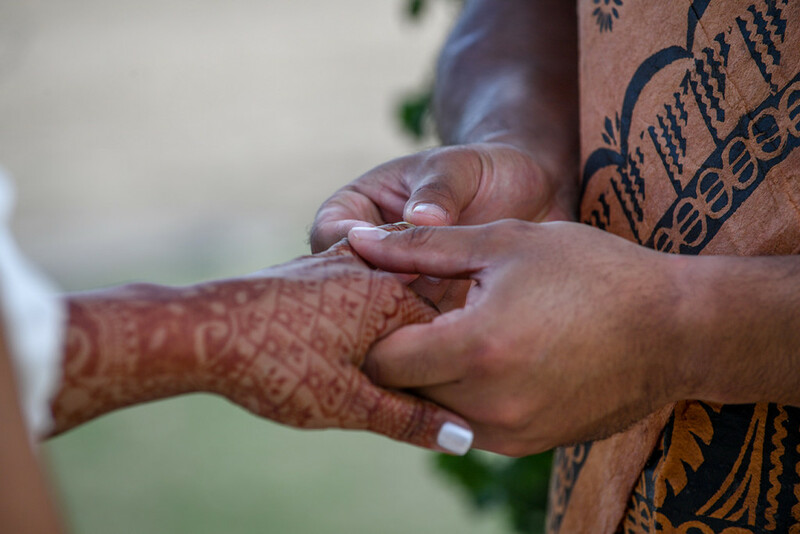 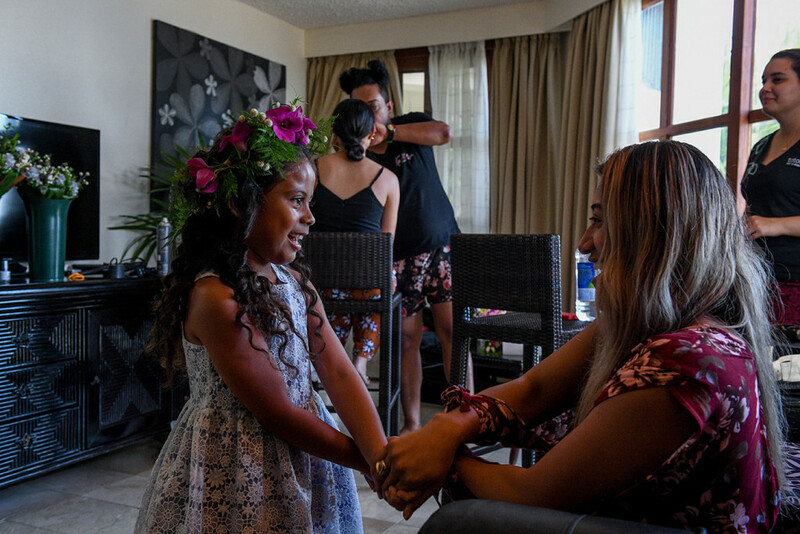 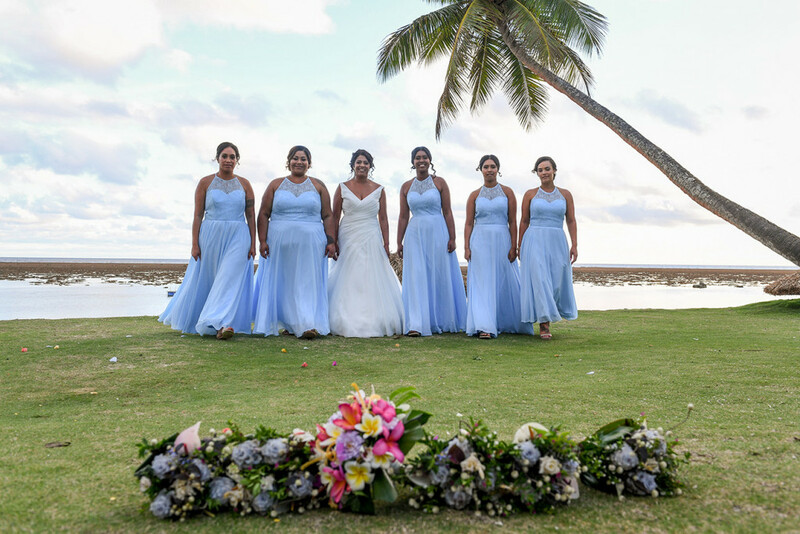 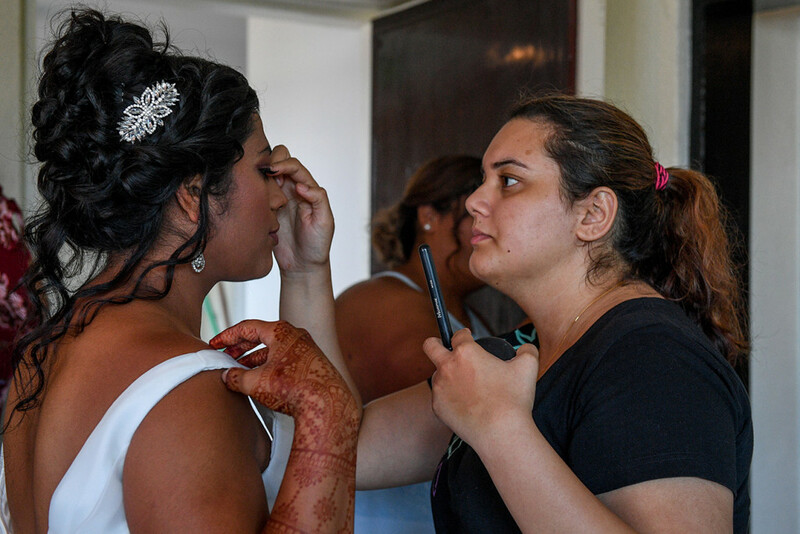 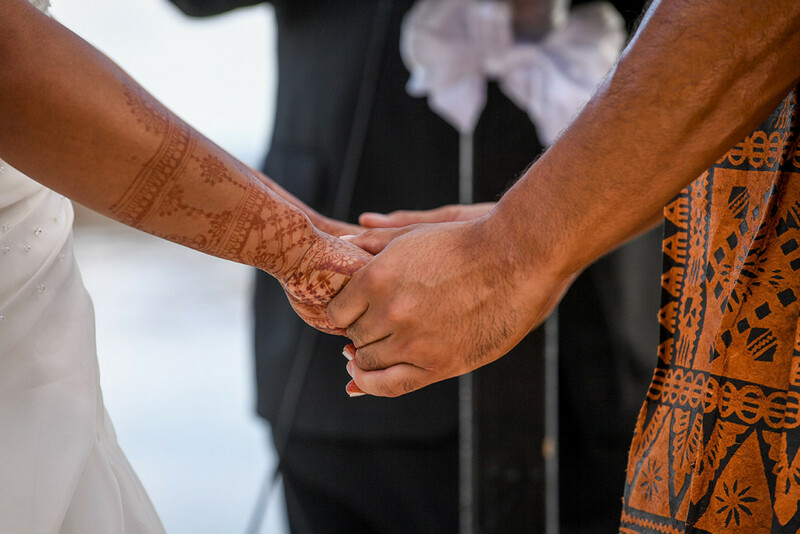 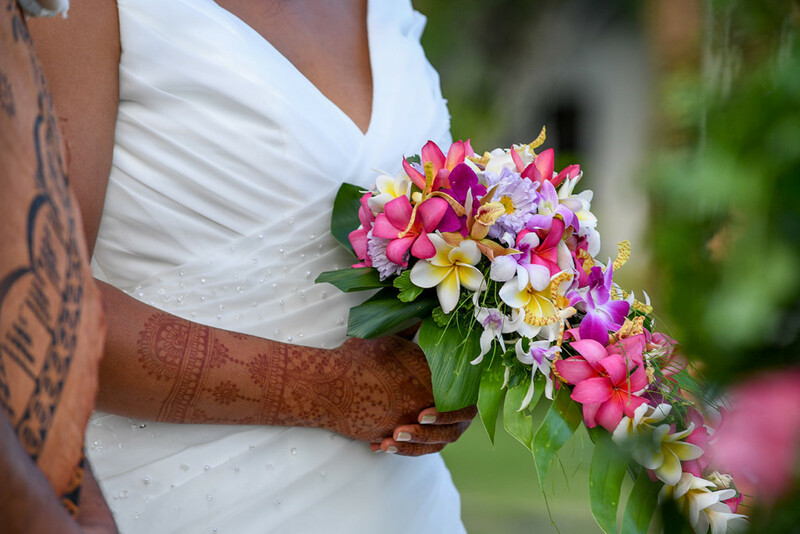 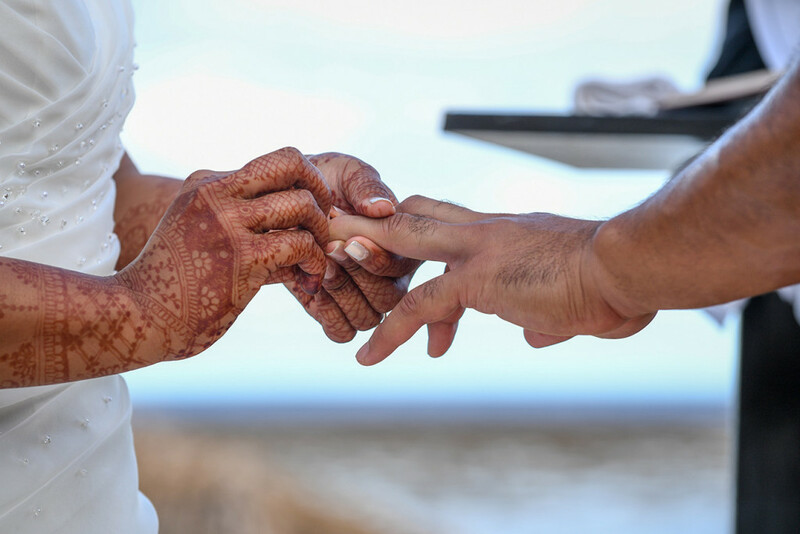 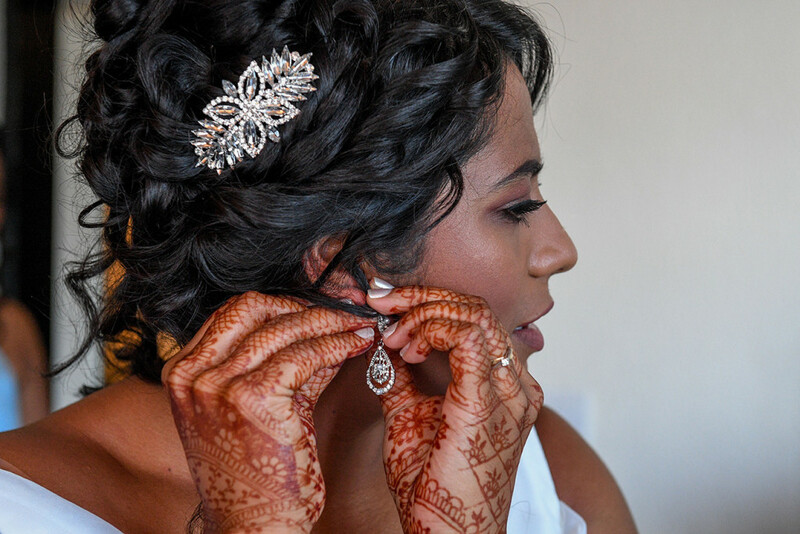 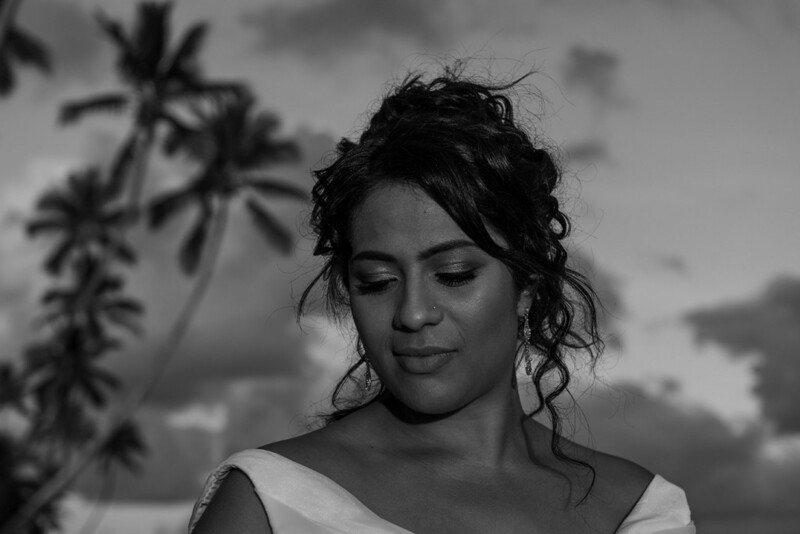 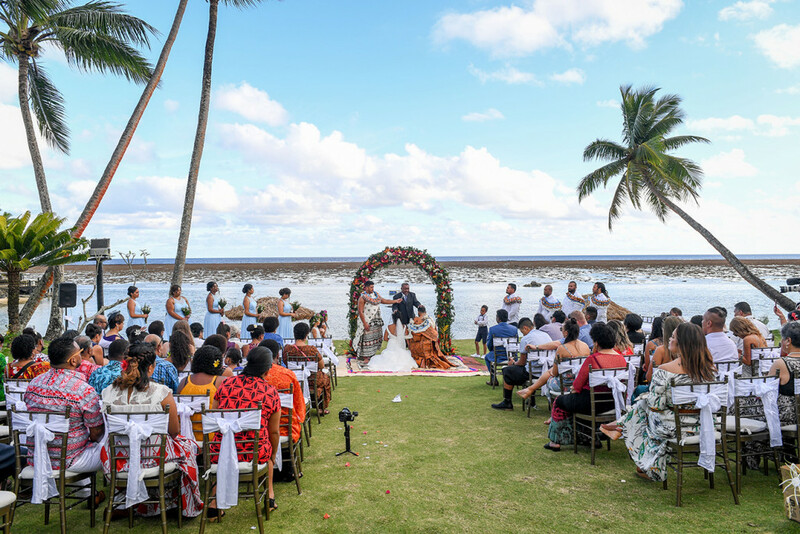 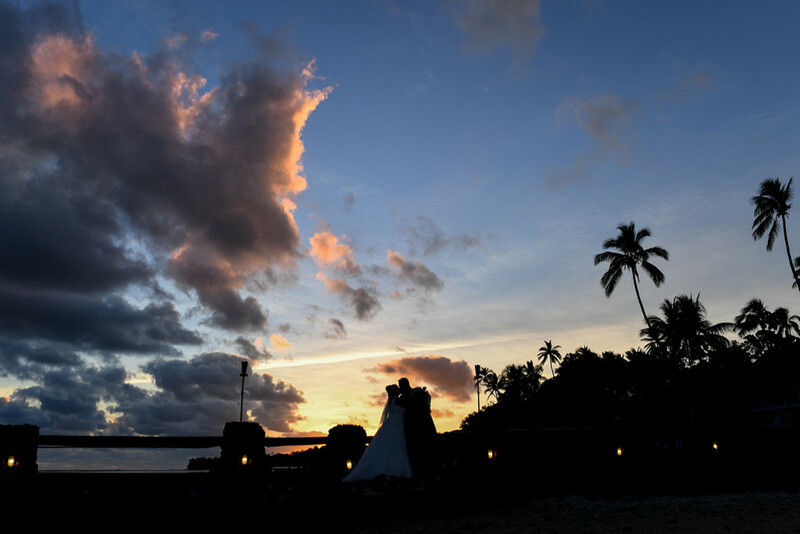 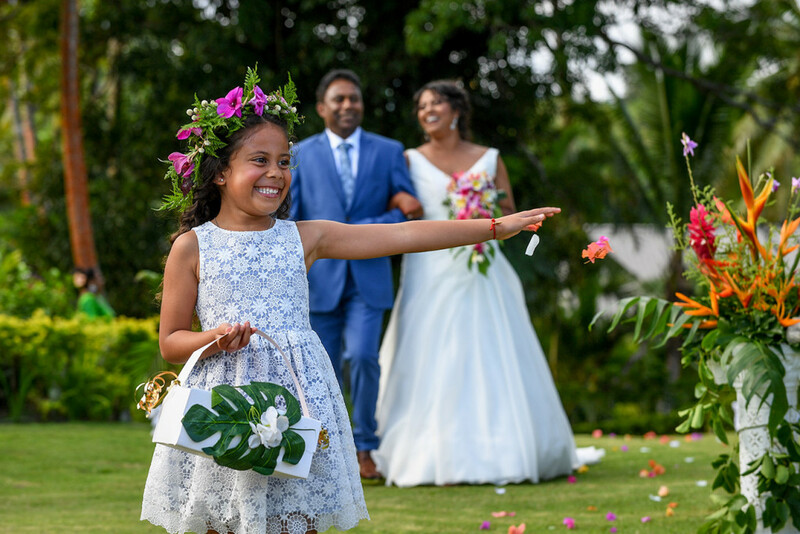 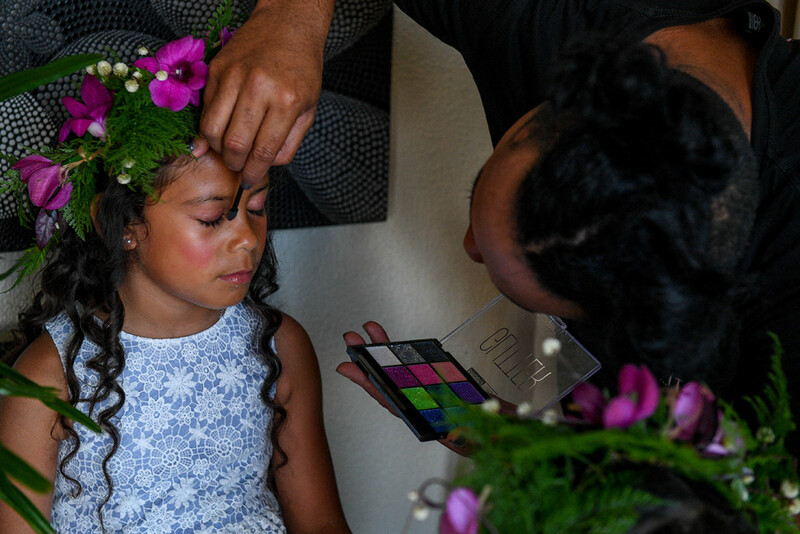 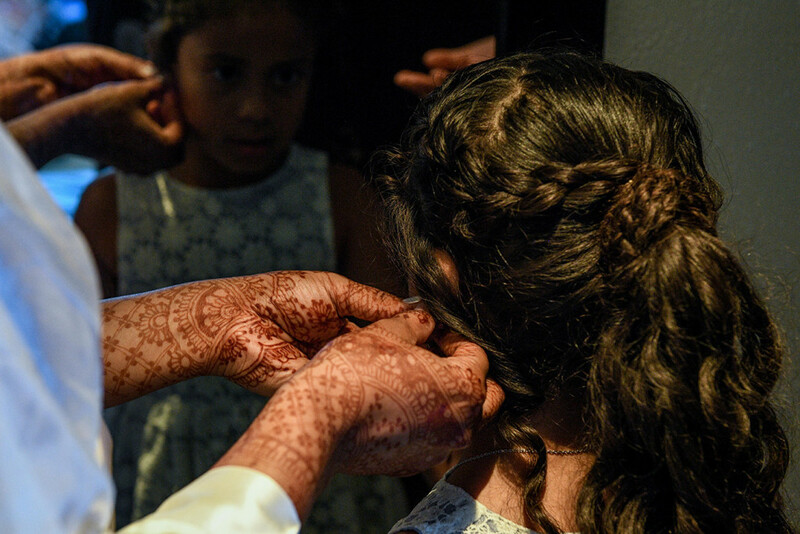 Any tips to give for future brides about getting married in Fiji? 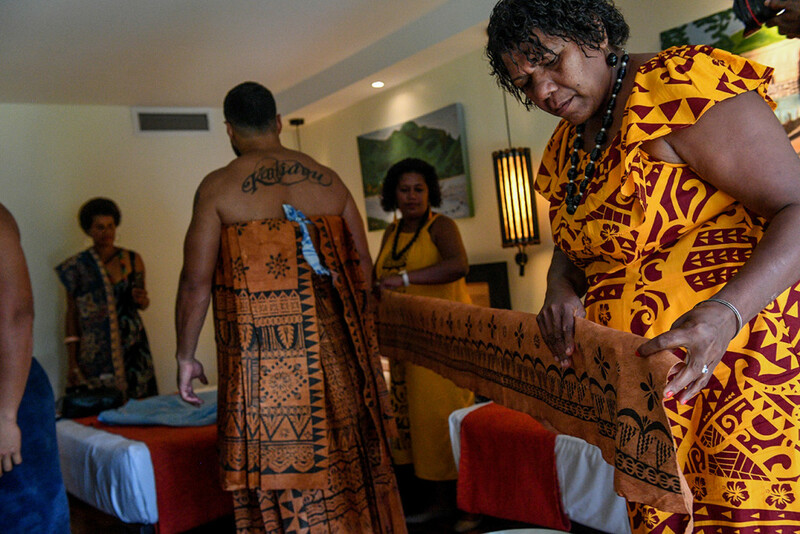 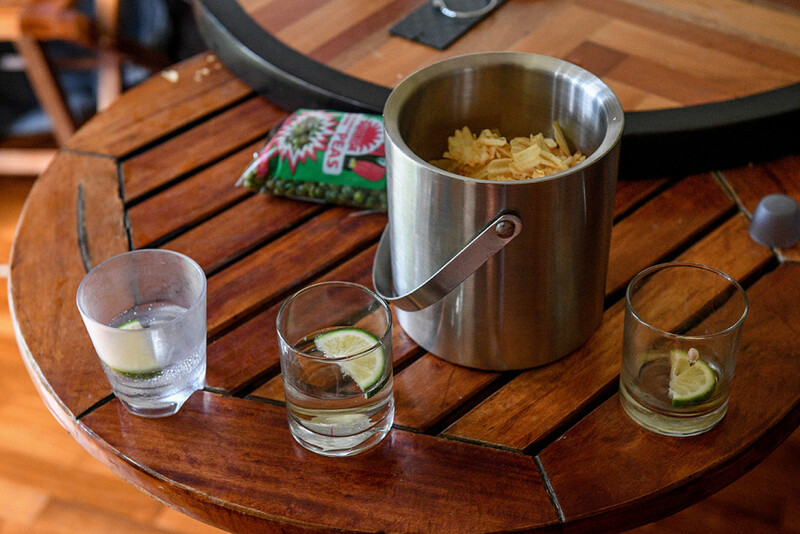 Everything can be found in Fiji so don’t sweat the small things it all comes together at the end. 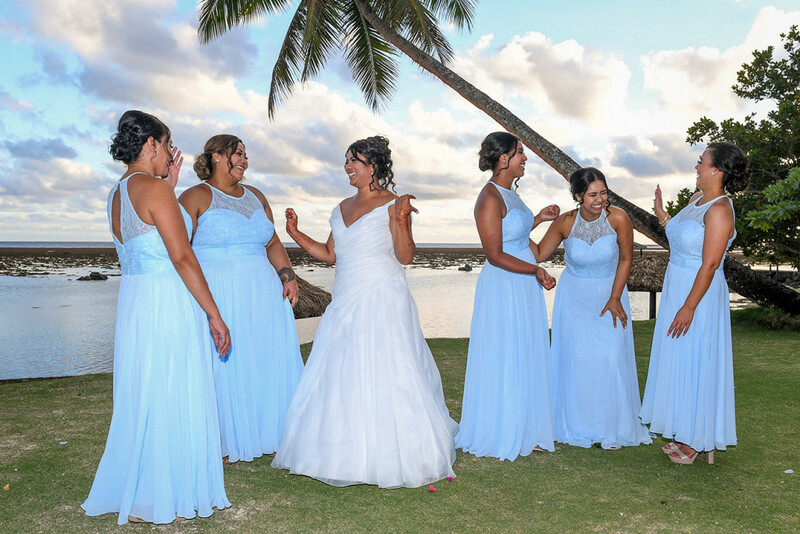 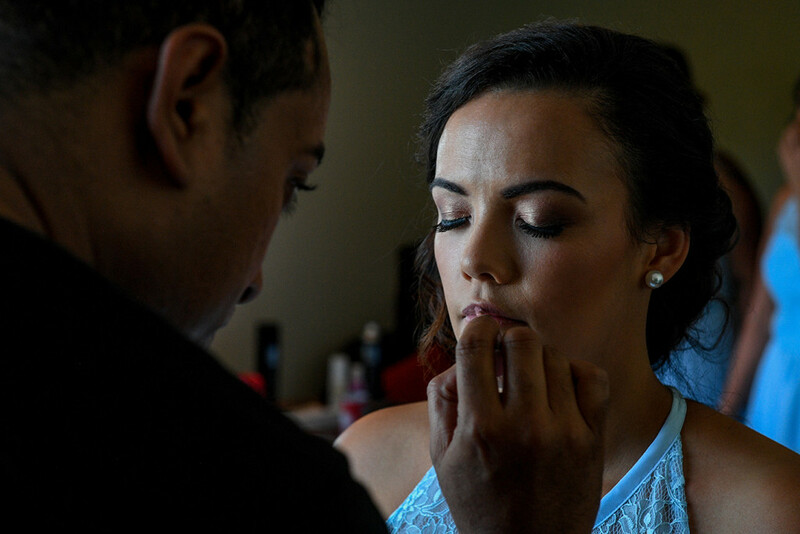 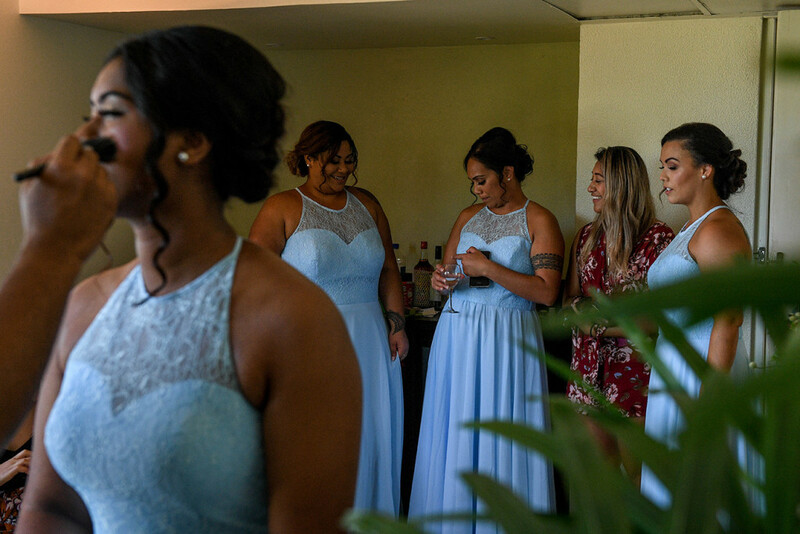 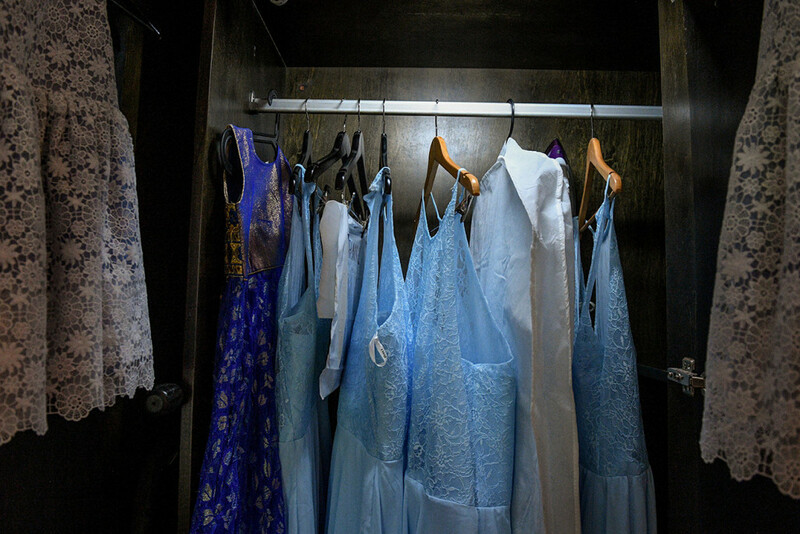 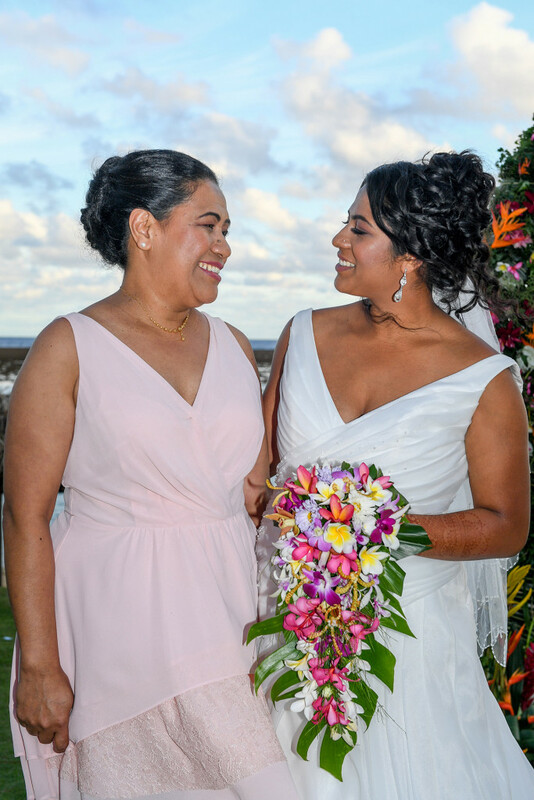 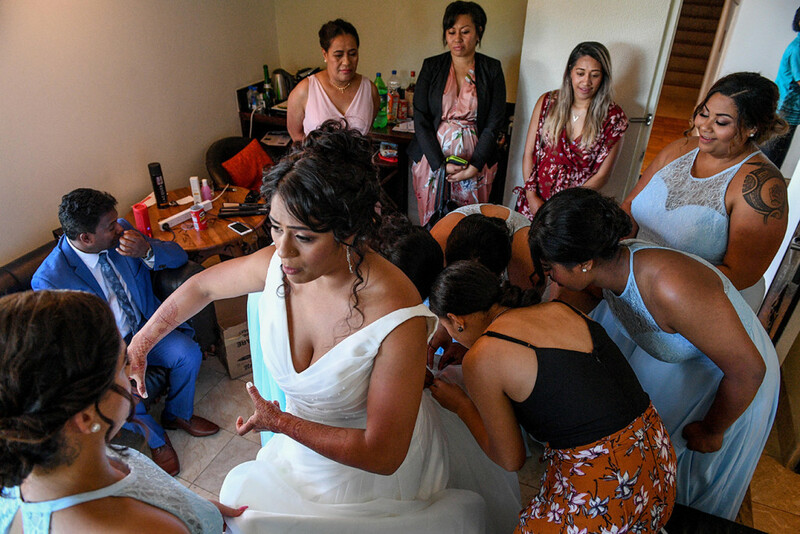 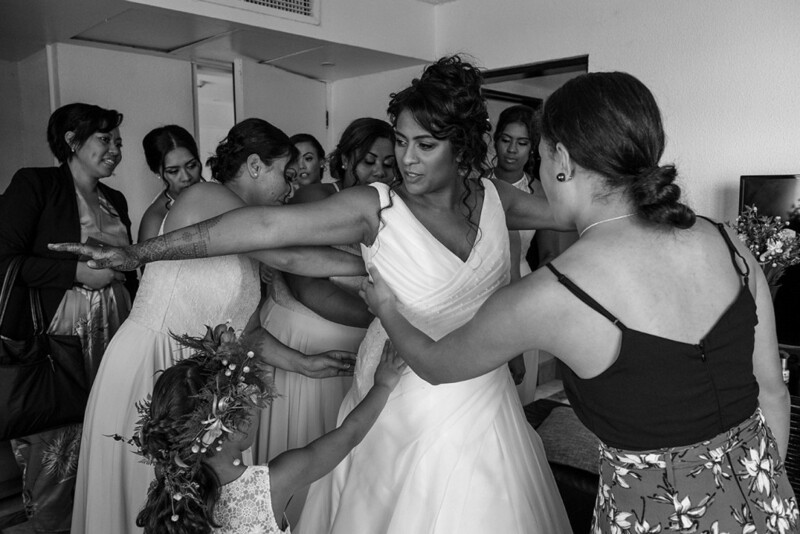 The bride’s dress was brought from Elegance Mariage in France, bridesmaids dresses were brought from elles dresses in Brisbane Australia. 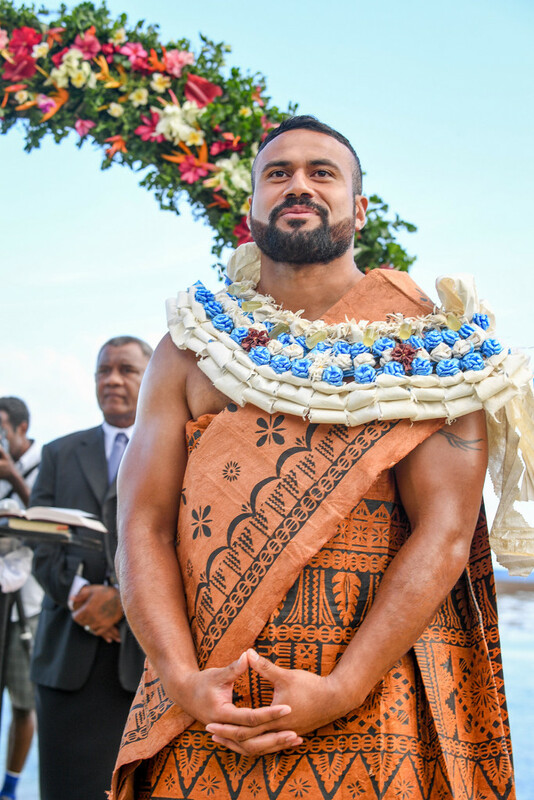 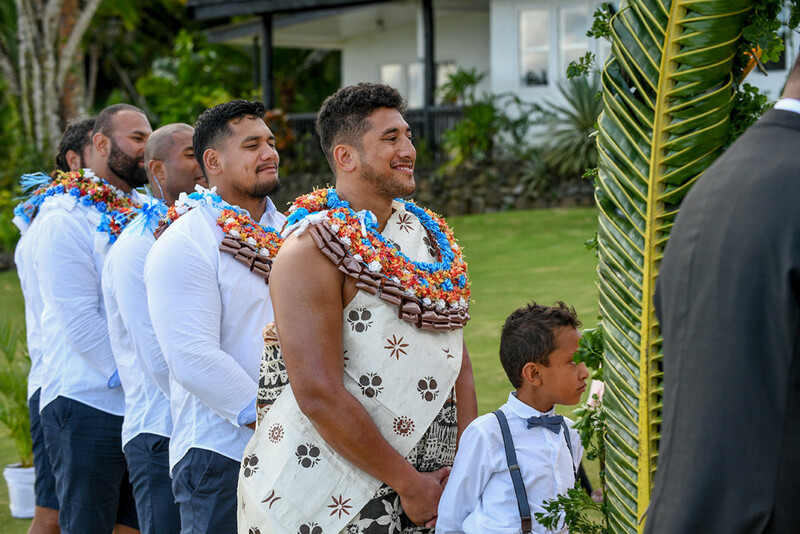 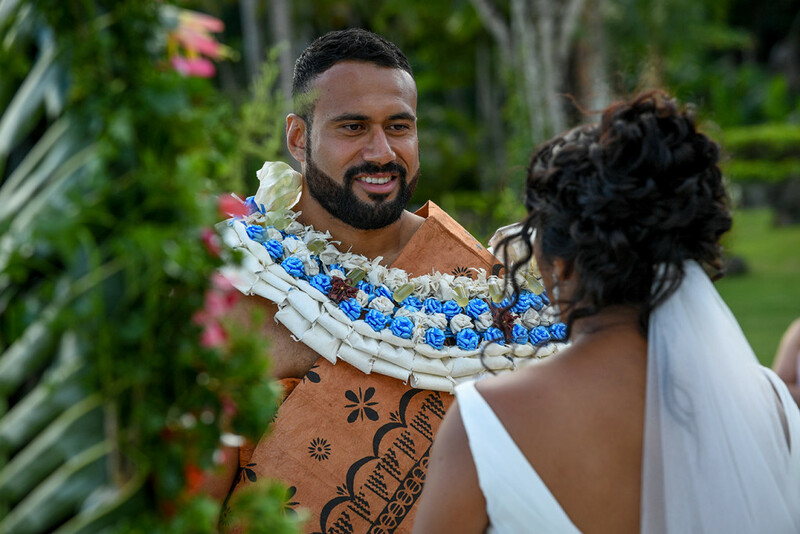 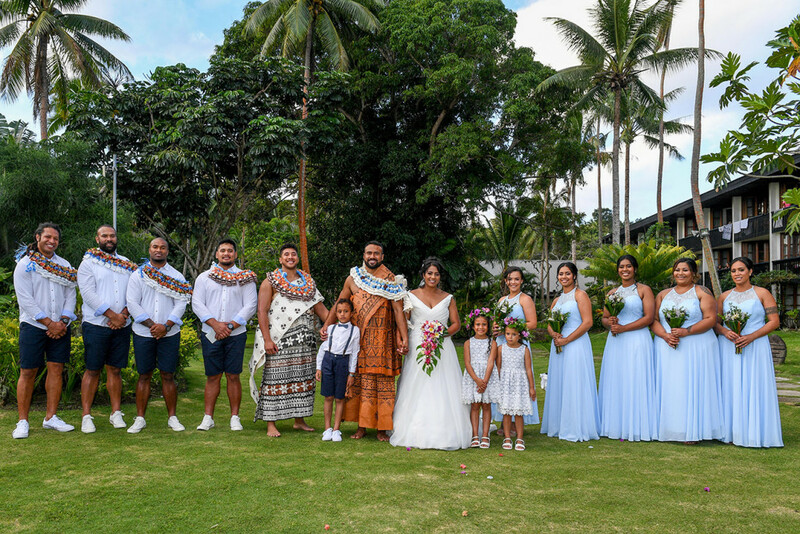 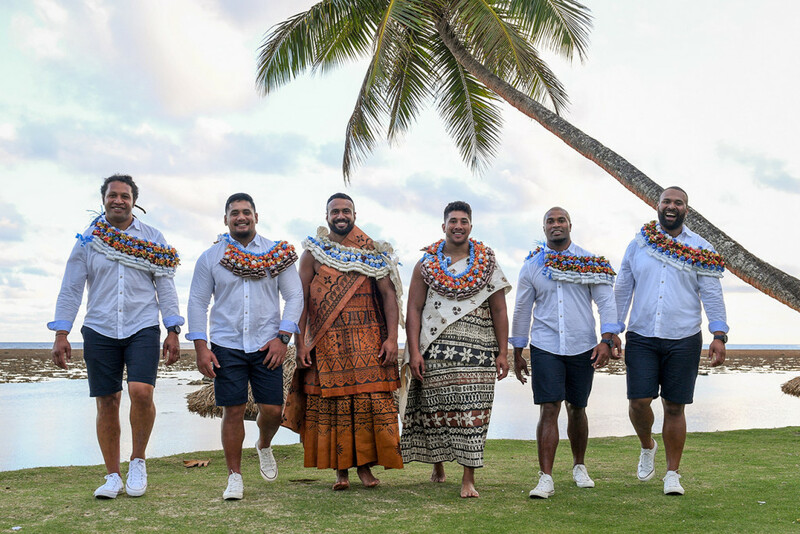 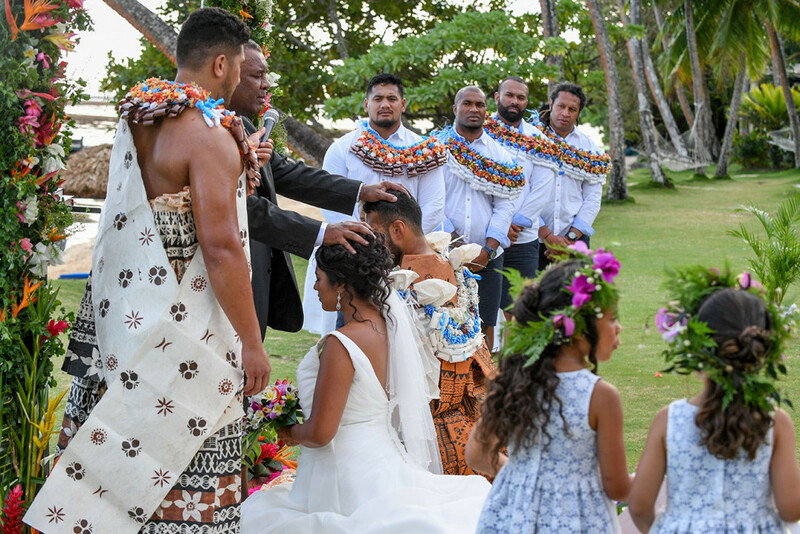 The grooms traditional outfit/ masi was gifted from his fathers village of Lauwaki , the best man’s traditional fijia outfit/ was gifted from the groom’s mothers side of Lau/ Tongan side. 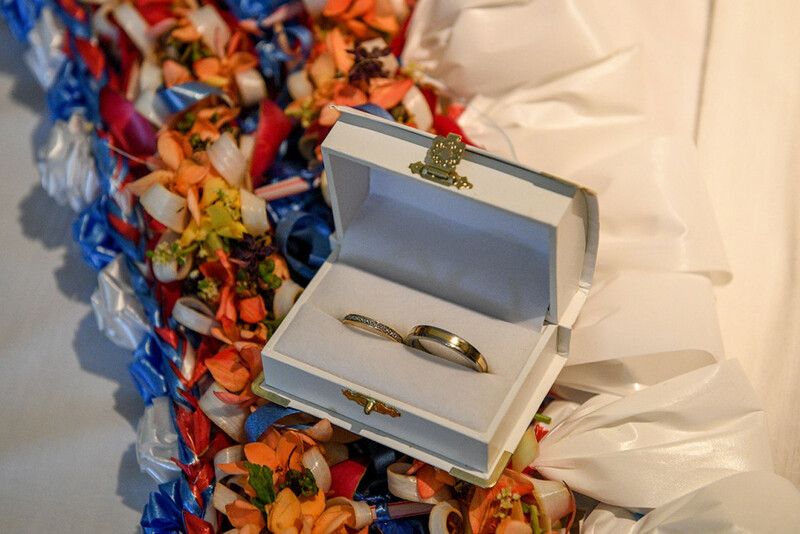 The rings were brought from E.leclerc jewellery in France. 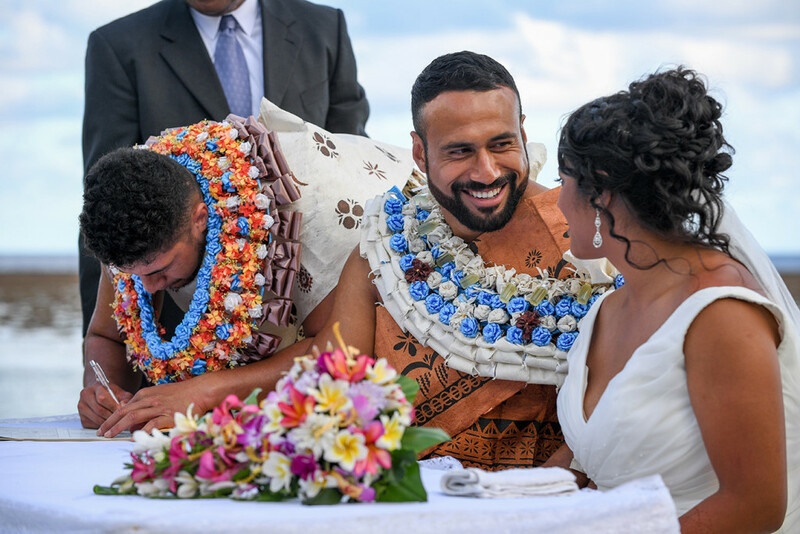 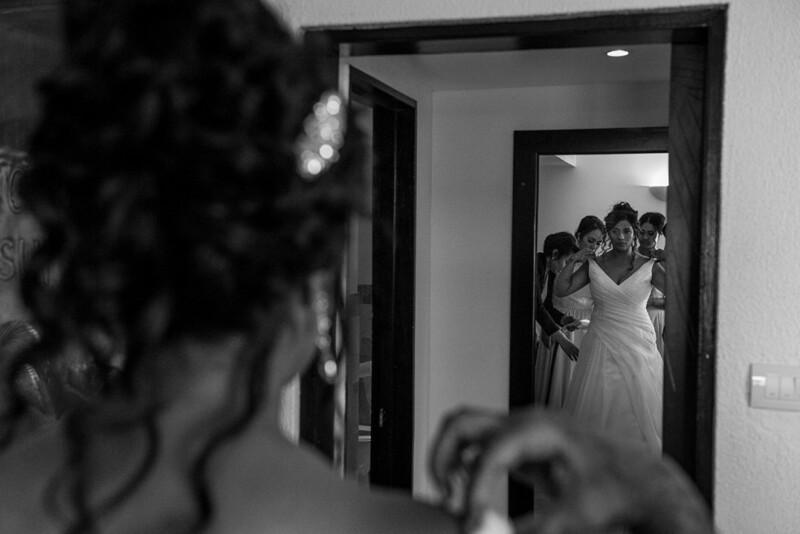 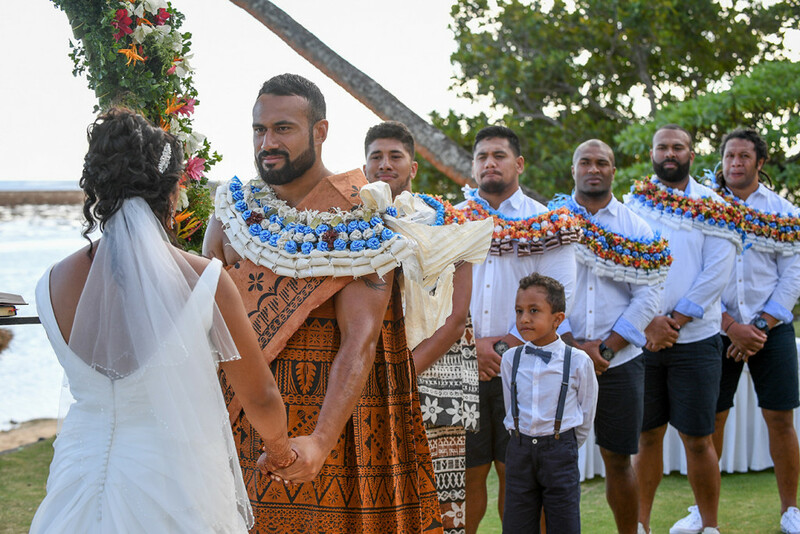 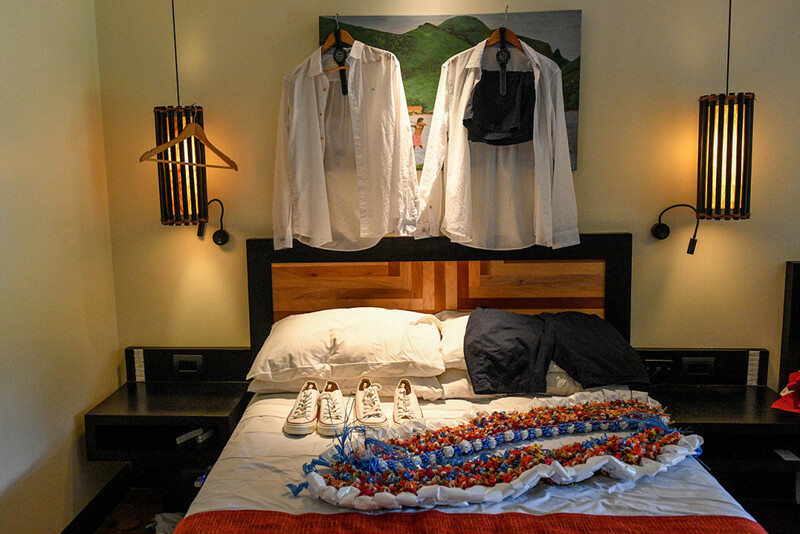 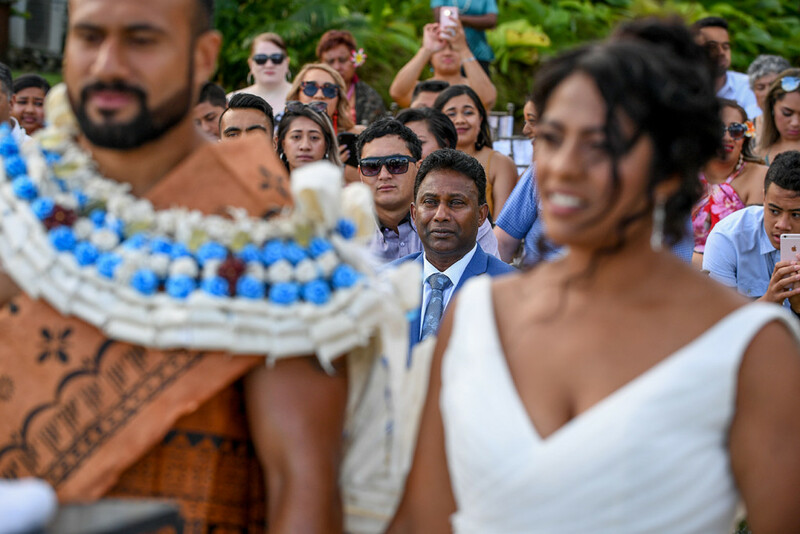 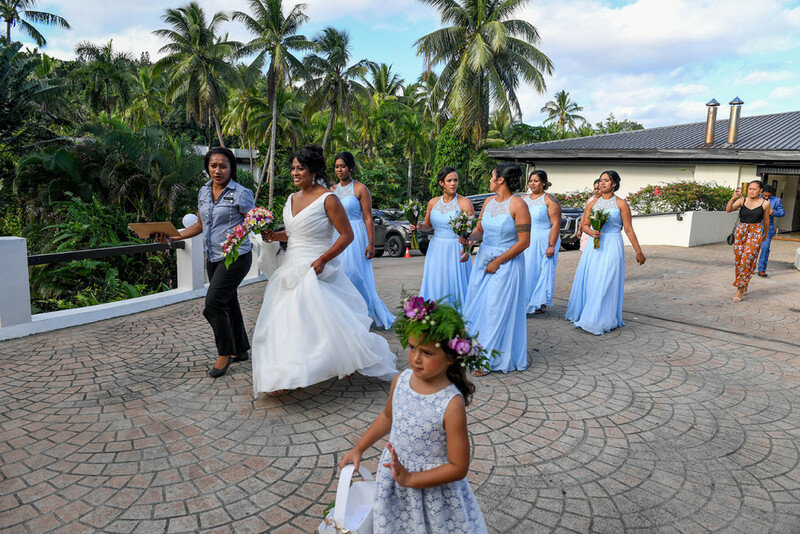 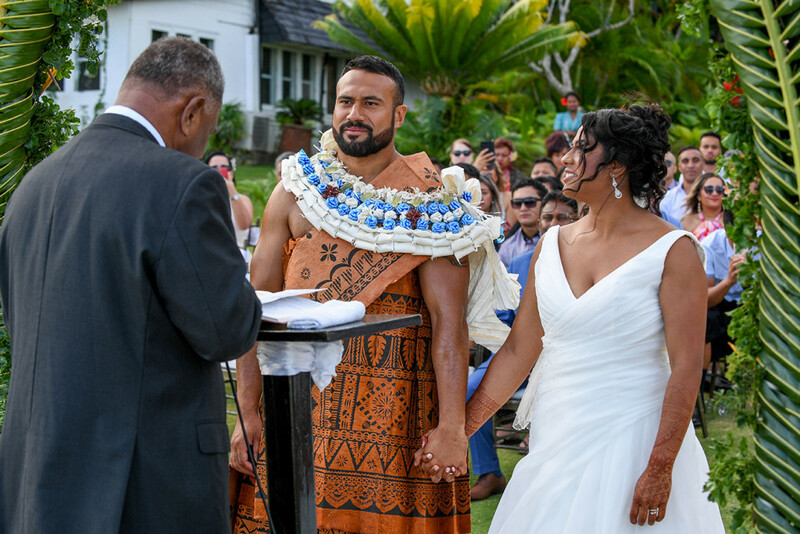 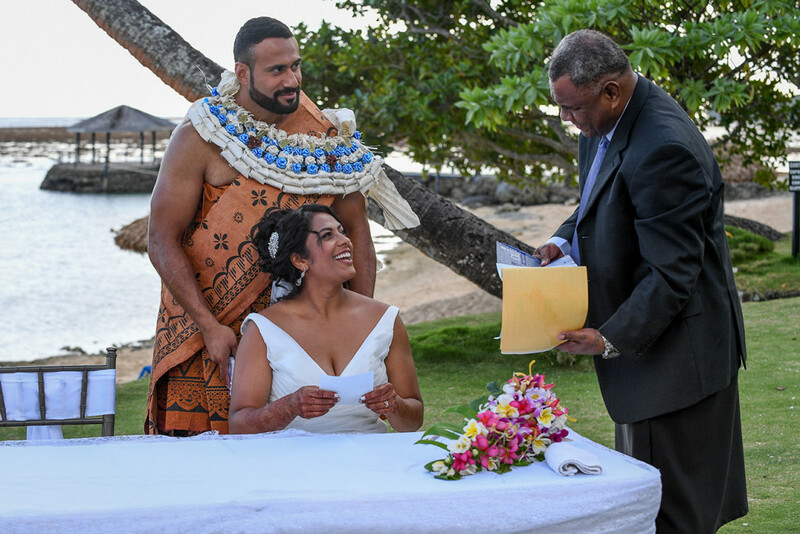 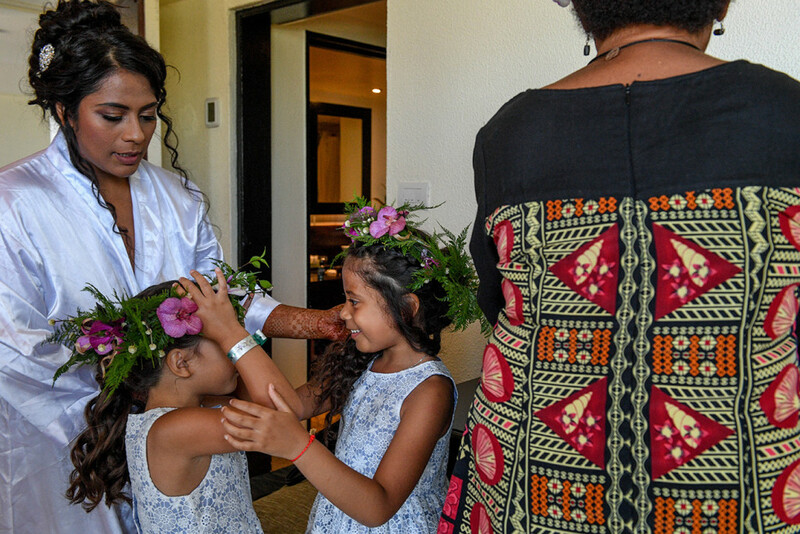 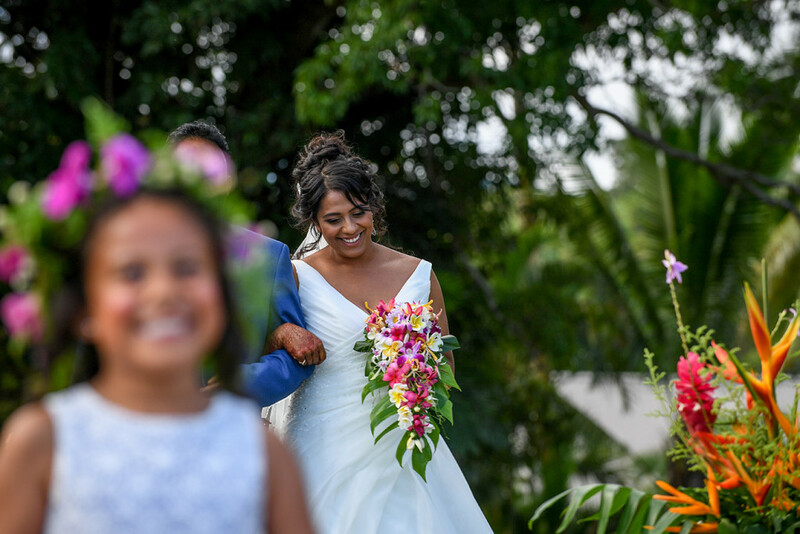 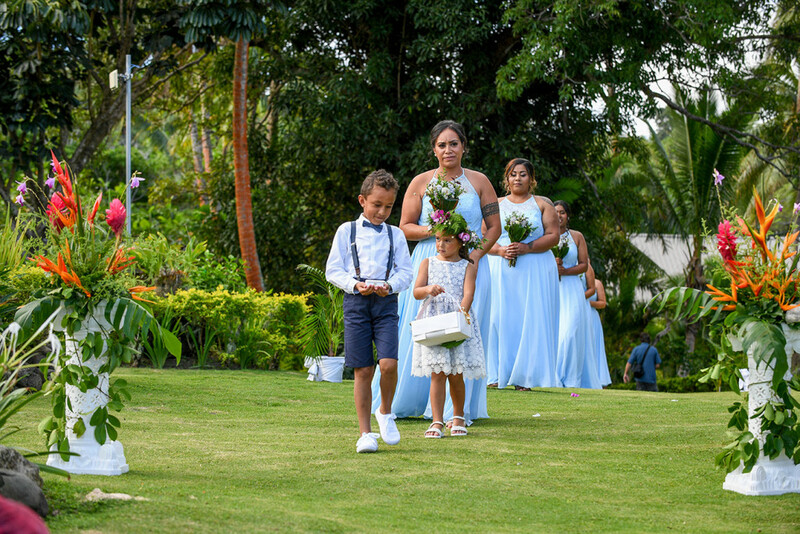 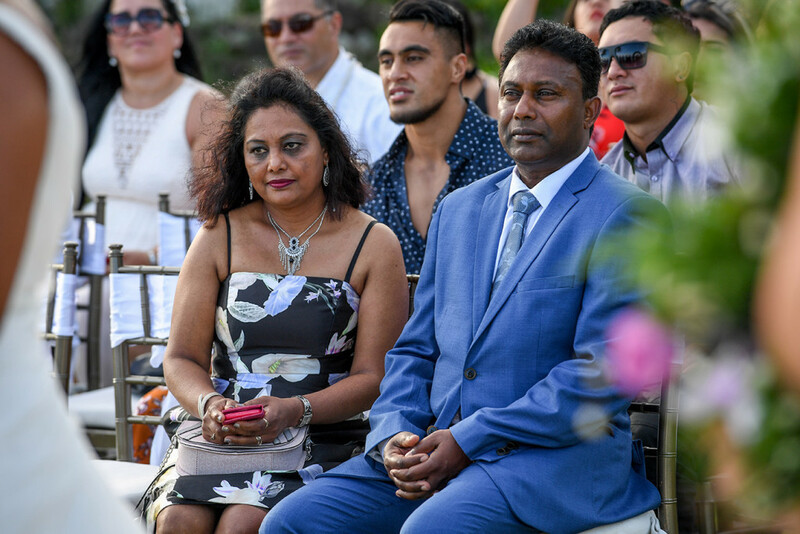 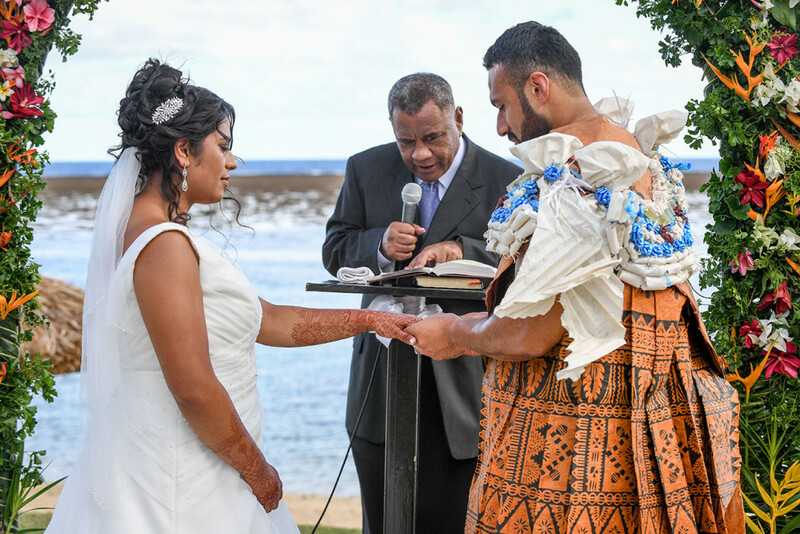 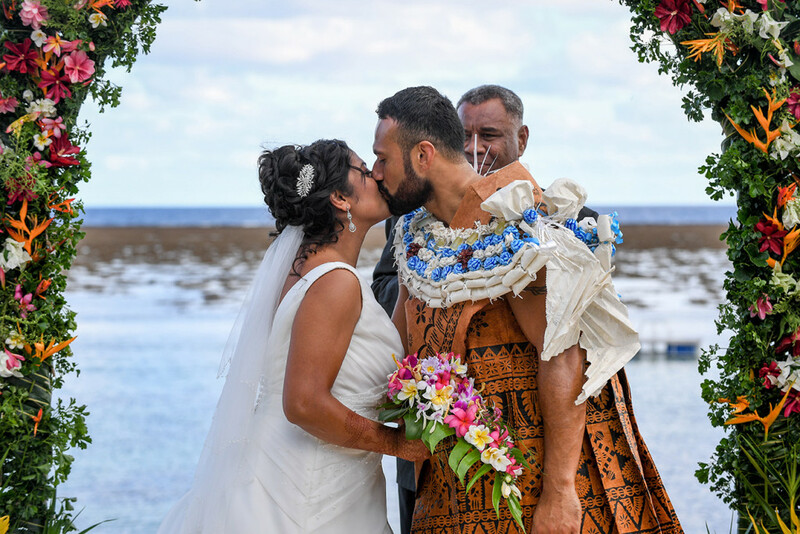 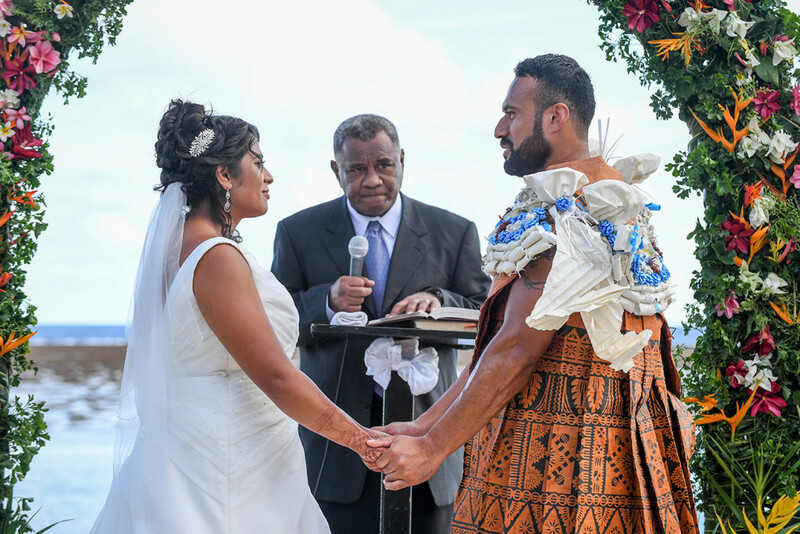 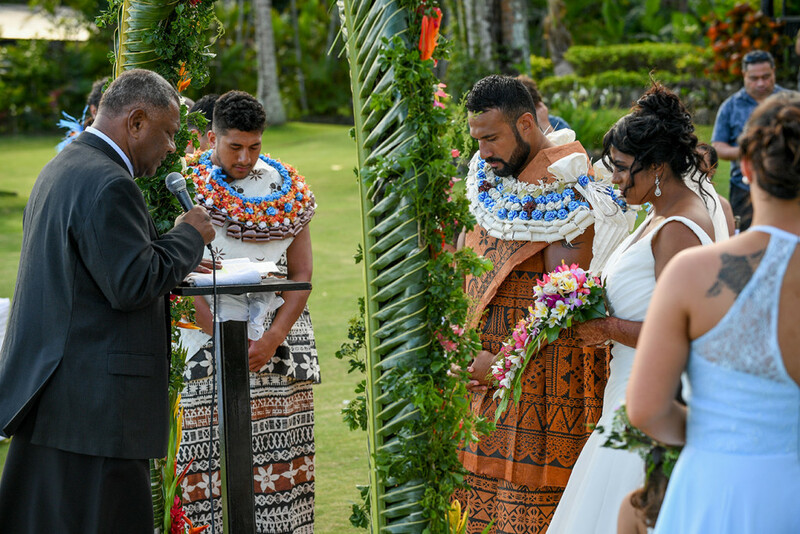 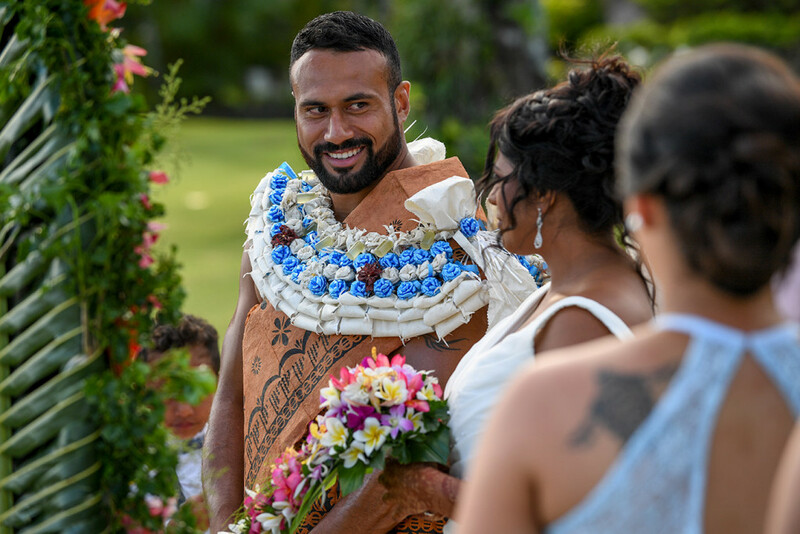 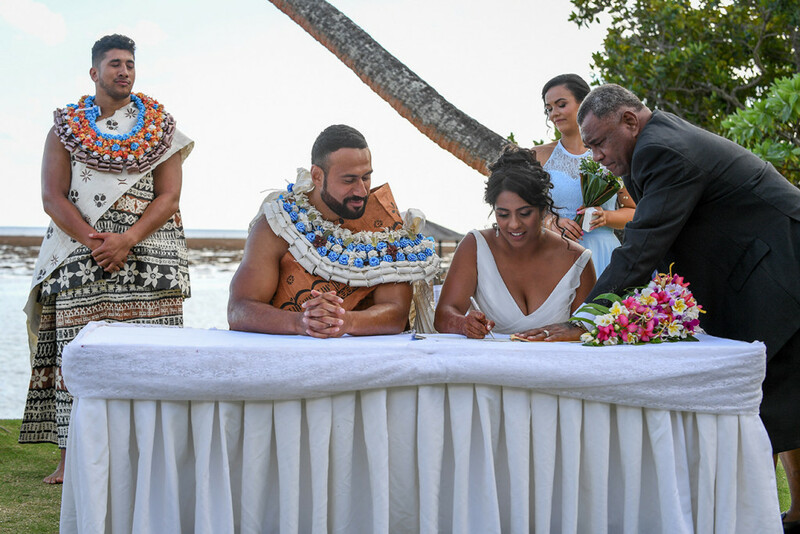 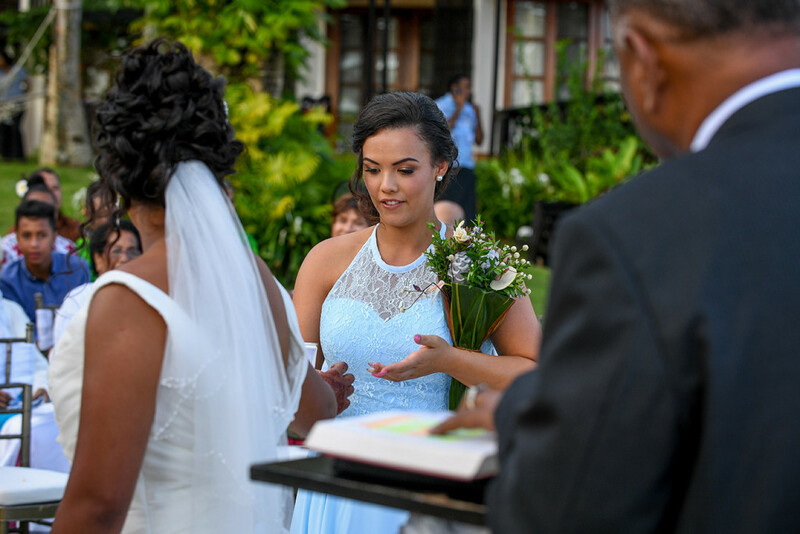 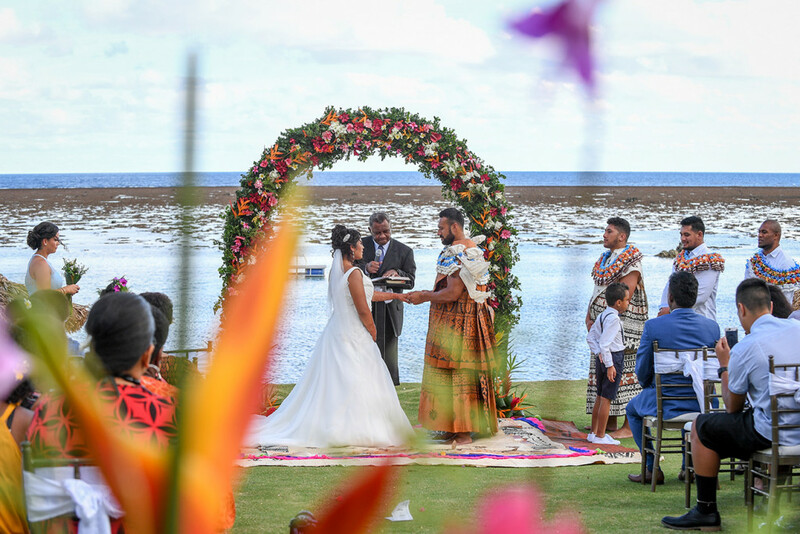 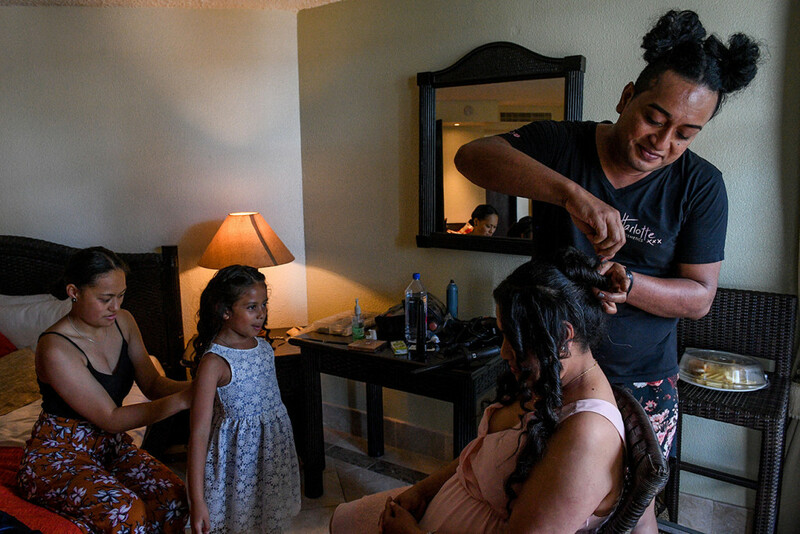 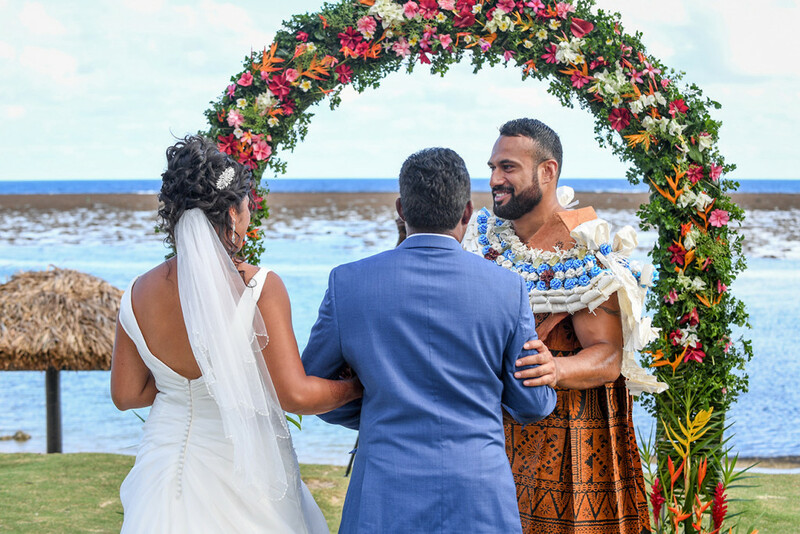 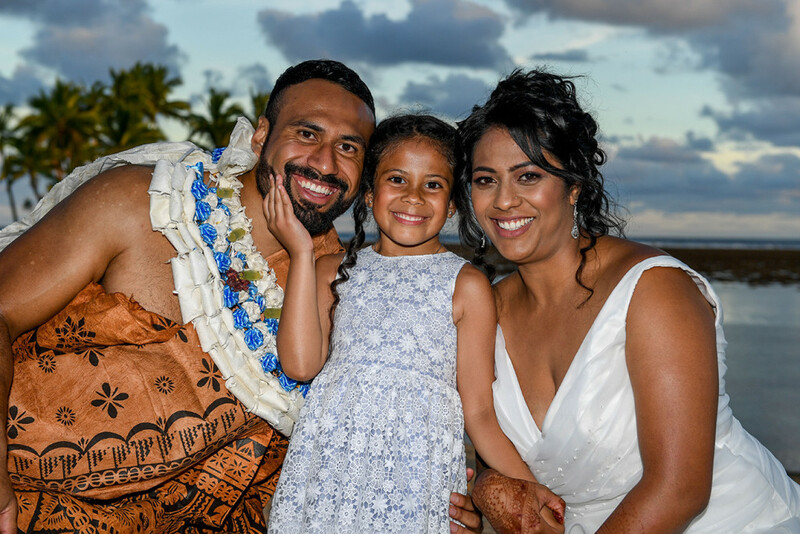 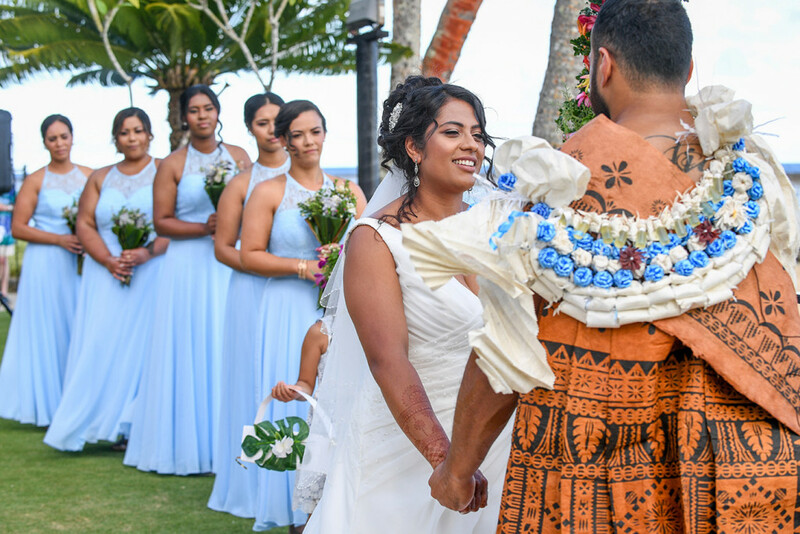 Congratulation to the couple for their union celebrated in Fiji, at the Warwick Fiji.